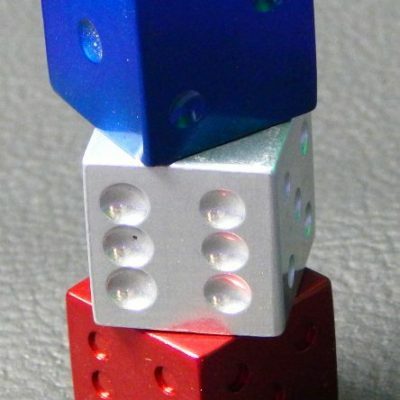 We took the standard six (6) sided die and spun it on its head. We removed the small dots usually used for pips and replaced them with our own design. Rather than small dots representing each numeral, we decided to use the whole die face to represent the numerals. On each face the we have separated it into areas whose quantity represent the numeral for that side. 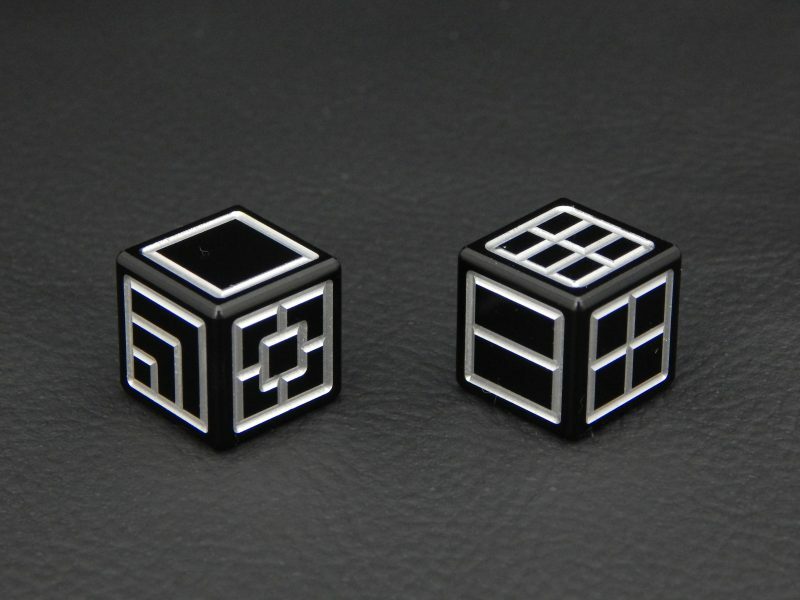 By using simple, yet elegant geometric designs for our custom dice, we’ve kept them easy to read while providing a stunning modern take on the traditional die. 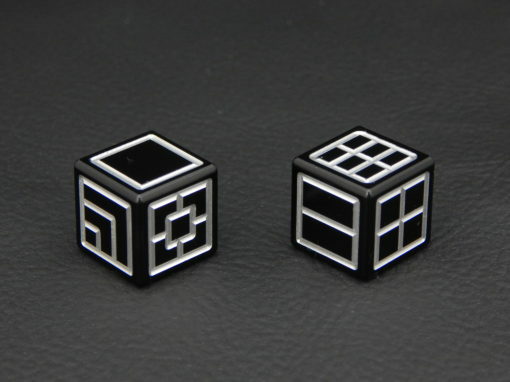 The iXLP variation takes this custom metal die one step further and inverts the design! Now instead of removing the material to make the pips we’ve instead removed everything around them. This created a more colorful design with the same striking geometric pattern.